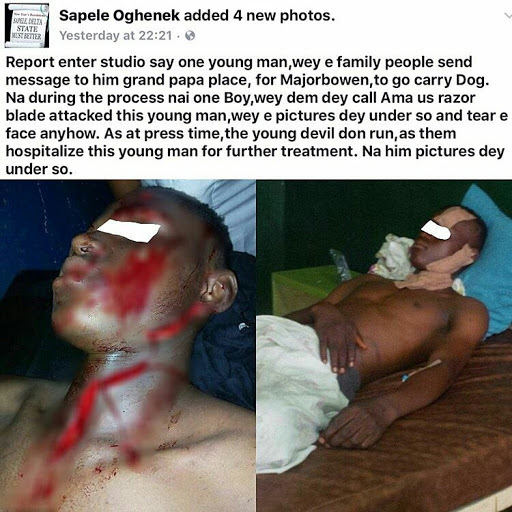 "Report enter studio say one young man,wey e family people send message to him grand papa place, for Majorbowen,to go carry Dog. 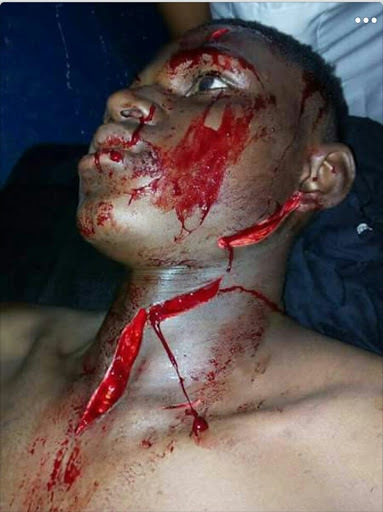 Na during the process nai one Boy,wey dem dey call Ama us razor blade attacked this young man,wey e pictures dey under so and tear e face anyhow. 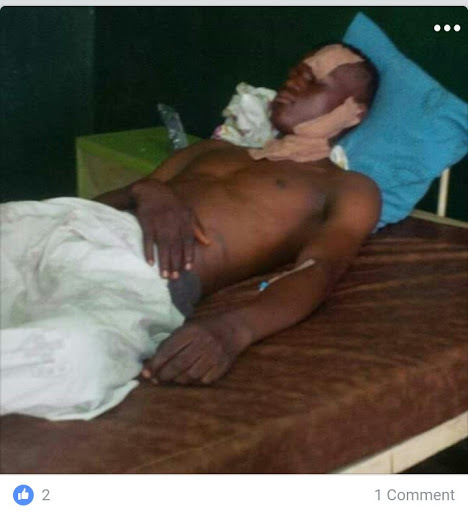 As at press time,the young devil don run,as them hospitalize this young man for further treatment. Na him pictures dey under so"